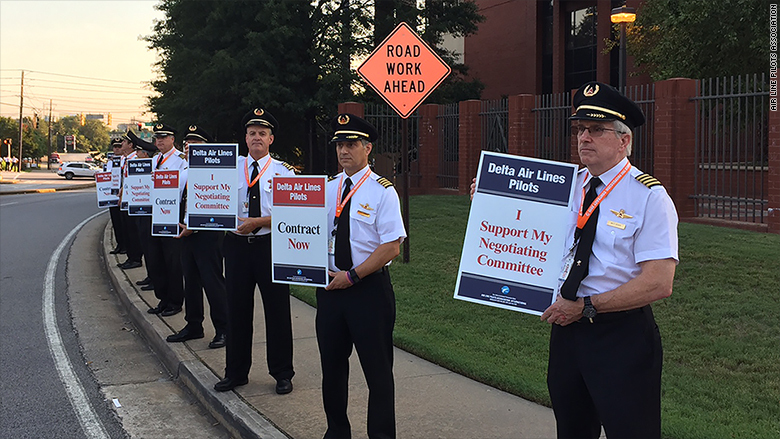 Delta Air Lines pilots are due to picket company headquarters early Friday in their push for 37% raises through 2019. The pilots, who held pickets at eight major airports in June, are at the Atlanta headquarters of the world's No. 2 airline. The pilots are not on strike, and the demonstrations are meant to call attention to their demands. 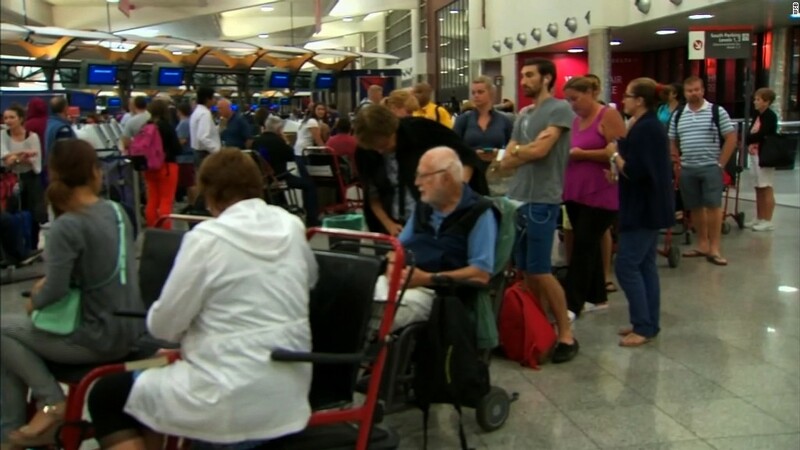 The Airline Pilots Association is also resuming mediated talks with management on Friday. The union represents 13,000 pilots. Delta pilots accepted 50% pay cuts during the airline's bankruptcy reorganization a decade ago. The union says that their members' wages, adjusted for inflation, have yet to catch up with where they were before financial losses and concessions. Meanwhile, low fuel costs and full planes have helped Delta (DAL) record record profits last year. Starting first officers at Delta today earn an average of about $68,000 in base pay, according to Kit Darby, an expert on pilot pay, while the most senior captains earn about $261,000. That's less than comparable pilots at United (UAL) and American (AAL), as well as those at major cargo carriers like FedEx (FDX) and UPS (UPS). But Delta has the industry's best profit sharing program, which added nearly $40,000 to every pilot's pay last year, according to figures from Delta. "We are prepared to reach an industry-leading agreement; however, any agreement has to be sustainable and market-based," said Delta in a statement at the start of negotiations earlier this year. Pilots at Southwest Airlines (LUV) held their own pickets at the airline's Dallas hub on Wednesday.